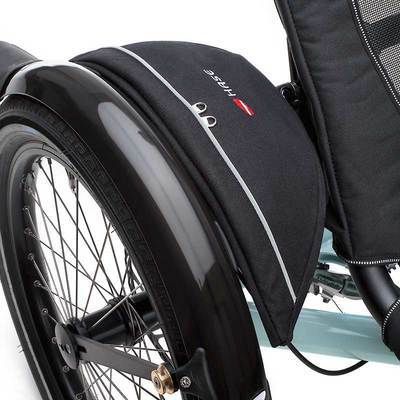 The one-of-a-kind "KETTWIESEL feeling" comes from its go-kart agility and tight turning circle. 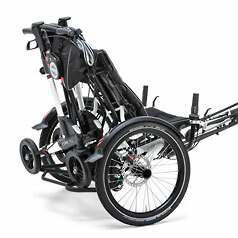 The KETTWIESEL ALLROUND delta recumbent trike lets you experience all the perks and practicality of triking. With its unrivaled cornering stability, high level of safety, and exceptional comfort, the KETTWIESEL offers unparalleled riding fun. And: at stoplights and during breaks, you can relax in your seat while other cyclists dismount. 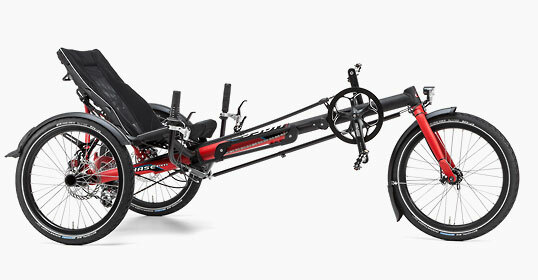 It’s easy to understand why this spirited roadster is also the perfect chassis for many of our adaptive vehicles and hand bikes. 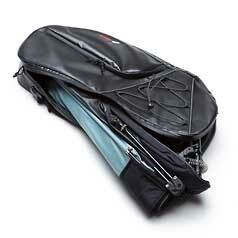 The KETTWIESEL was designed to offer an ideal blend of ergonomics, sportiness, and unlimited versatility. 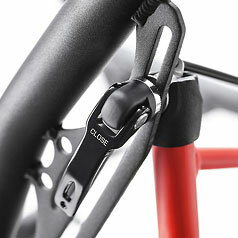 ​Thanks to the handy quick-release levers, adjusting the angle of the seatback is child’s play. Choose any sitting position: from laid-back and sporty to upright. 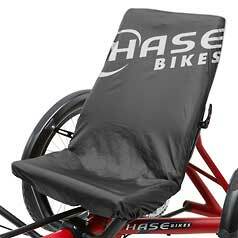 For transport, just release the seatback to make the trike flat for easy stowing. 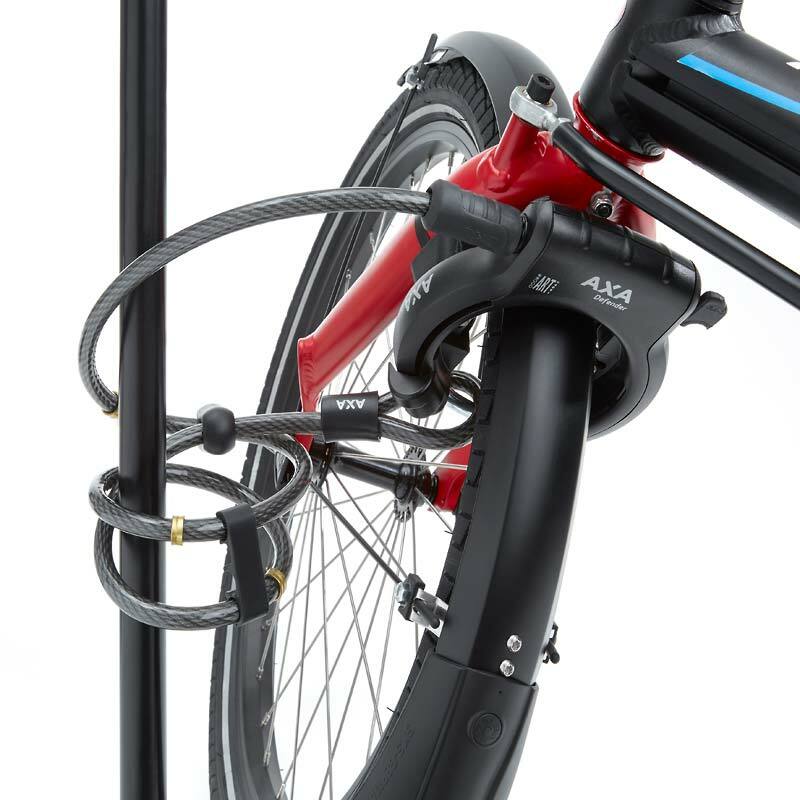 If you need to take off the wheels for storing or transporting the KETTWIESEL recumbent trike, then simply loosen the bolt on each QUICKSTICK hub – and they’re off! Differential It's the invention that made the car possible: the differential. 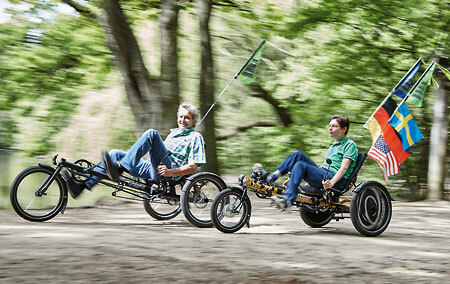 And on the KETTWIESEL, it's the final ingredient for ultimate riding fun, especially on loose gravel or sand. 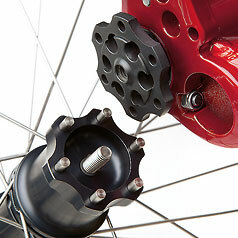 Specially designed by Marec Hase for the KETTWIESEL, the Differential transfers the pedal power to both rear wheels. 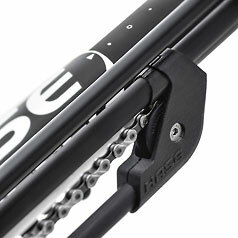 It shows its true colors on rough terrain or muddy slopes, where others skid out. Side Pouch Those "little things in life" can be kept within arm's reach: there's plenty of space for keys and cell phones in the chic Pouch, which attaches easily to the fender - ideal for day trips with no luggage (not compatible with the KETTWIESEL EVO and KROSS). 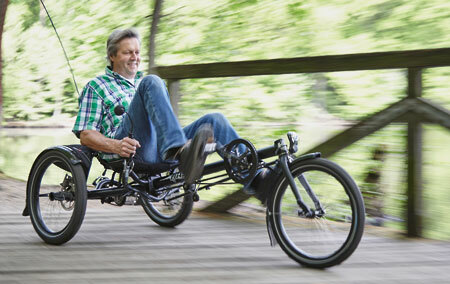 When not working at his specialty plant nursery in Frankfurt, ­Wolfgang ­Krämer can be found on the trails with his son, rolling at a relaxed pace through the ­wooded parks of his region, enjoying the “beach-chair ­feeling” in his KETTWIESEL recumbent trike – and of course the fact that his son Alexander is having so much fun on the trike beside his. It’s the sauce that makes all the difference: no one knows that better than Wolfgang Krämer. He runs a nursery in Frankfurt-Oberrad, selling one main product: a special mix of fresh herbs for making traditional Frankfurt-style green sauce (Grüne Soße). 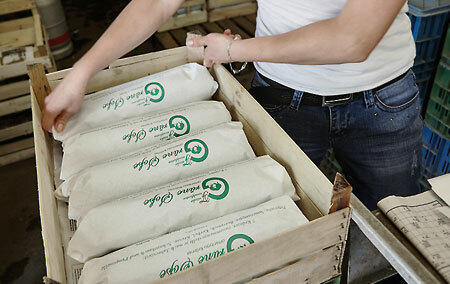 And it all comes down to the freshness of the herbs, meaning the dish is seasonal. There are no imported herbs in the Krämer herb mix. This means: a lot of hard work and love go into the product. “Otherwise, we could never do what we do,” admitted Krämer. But what does all this have to do with HASE BIKES? 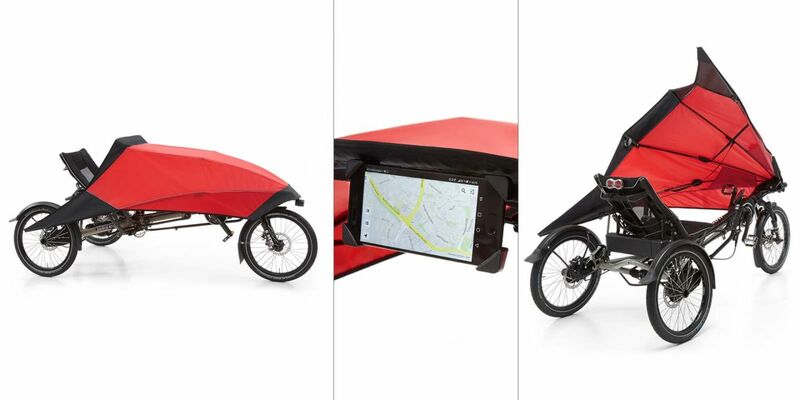 And then, by chance, Alexander and his brother, bike-fan Philipp, discovered our KETTWIESEL and TRIX recumbent trikes at a bicycle trade show in Frankfurt. “It was amazing: Alexander knew immediately that it was something for him,” explains Krämer, with delight. Then the gardener looked for a dealer nearby and took his son in to do some test-riding – in secret, without his wife, Doris. 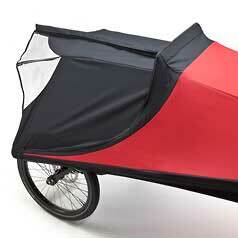 “She would have thought the trike was too dangerous and ruined the whole thing,” he grinned. 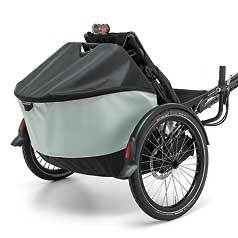 Krämer was so impressed with the vehicles that he also ordered a KETTWIESEL recumbent trike for himself. Something else that Doris wouldn’t have approved of. 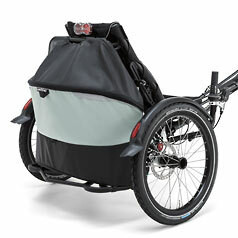 “Now she’s totally thrilled about how well Alexander is doing with the trike.” This is partially due to the fact that father and son ride as a pair. 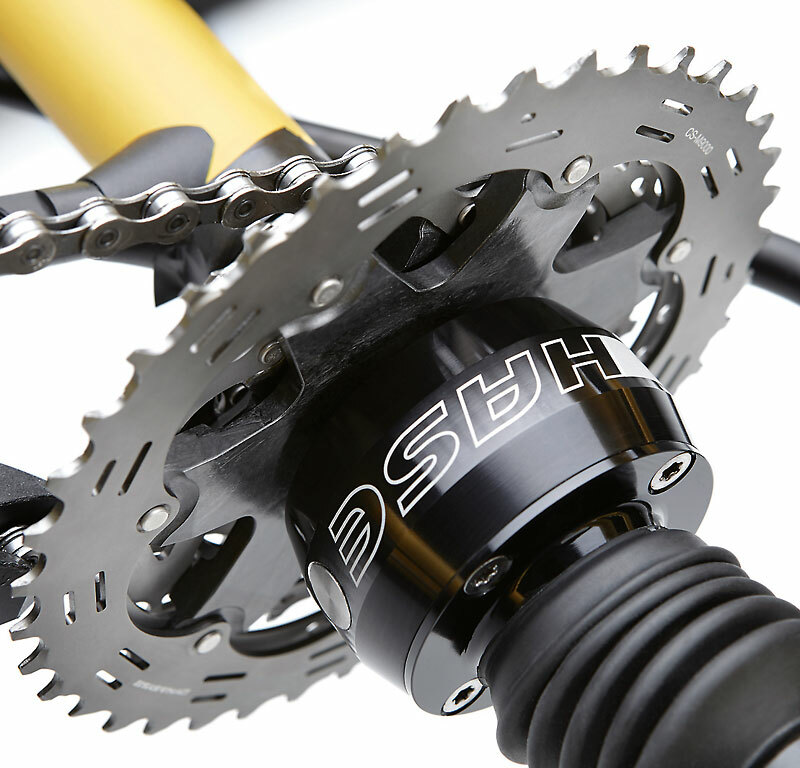 On weekends, they often take rides in a recreational area in Neu-Isenburg, about six miles (10 km) from their home. “We have so much fun together!” The trail leads almost completely through the woods, with very few intersections, which can be dangerous for Alexander. ​But hills or no hills – on Wolfgang Krämer’s weekend excursions with Alexander, the fun he has on his own KETTWIESEL is like the icing on the cake … or the green sauce on the schnitzel.